Sarasota Landscaping Services is a full service lawn care and landscaping company located in Sarasota, FL. 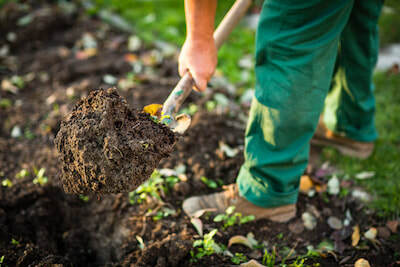 In addition to providing our regular services such as residential lawn maintenance and commercial ground upkeep, we are also proud to sell the best soils and topsoil available on today’s market. With a growing number of landscaping service companies in our area offering similar services, we are proud of our continued transformation achieved throughout the years that we has enabled us to stay ahead of our competitors. The soils we offer are guaranteed to improve the health of your property so that your yard can flourish. Before we jump into proper soil usage, let’s discuss the real benefits that soil can have on your landscape. Many think of soil as just dirt, but that couldn’t be further from the truth. Soil is actually the food that feeds your entire landscape, your plants, your flowers, and your trees. When you use high quality soil, it helps to release nutrients that plants need to grow. Without soil, your plants would have to look for their nutrients elsewhere, which might cause an issue in their health. In addition to being a food source, it also helps to clean everything that’s around it. If you opt to use a low quality soil, you might start to notice erosion occurring throughout your landscape. This happens when soil is unable to protect plants from harmful sources, such as bacteria, insects, pests, illness, you name it. 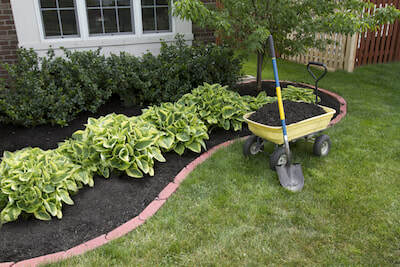 We know that soil may not seem like a fun part of landscaping, but it is essential for success. Most of the natural soil found throughout our community is not nutrient-rich, and therefore cannot sustain plant life. This is why it’s so important that you find topsoil that is rich in nutrients and proteins that can help encourage growth. While we tend to focus on the cost when looking to purchase soil for our properties, we need to change the way we think. By spending a little extra on a superior soil, you will reap the benefits in the long run. You will be able to care for it and recycle it so you won’t have to buy new soil for quite a while. Partnered with our aeration and composting services, the soils we offer can all provide great benefits for your property. They are focused on water dispersal and sharing nutrients, and they can provide erosion control. ​So, if you’d like to learn more about why soil and topsoil is so important to your landscape and the entire environment overall, our team is happy to share our knowledge on the subject. Not just that, but we’ll help you explore all your options and choose the best substance that support growth at your home or commercial property. You can have us help you to lay and install the soil ourselves, or you can purchase bags from us to try it yourself. If you opt for the second, we will give you some helpful tips to remember as you begin your work. To set up a free consultation, call Sarasota Landscaping Services today.